Law enforcement officers work hard and risk their lives to keep citizens safe. National Police Week recognizes the sacrifices of police officers and peacekeepers who valiantly serve and protect our communities. The University of Houston-Downtown (UHD) Police Department will participate National Police Week, Monday, May 15 through Friday, May 19. In 1962, President John F. Kennedy signed Public Law 87-726, which designated May 15 as Peace Officers Memorial Day and that week as Police Week. Thousands of law enforcement officers from around the world converge on Washington, D.C. to participate in a number of planned events honoring those that have paid the ultimate sacrifice. To pay tribute to the devotion of past and present law enforcement officers, UHDPD will provide blue ribbons to the UHD community beginning Monday, May 15. The ribbons will be available, through May 19 or while supplies last, at the UHDPD Dispatch Office in Room N118. 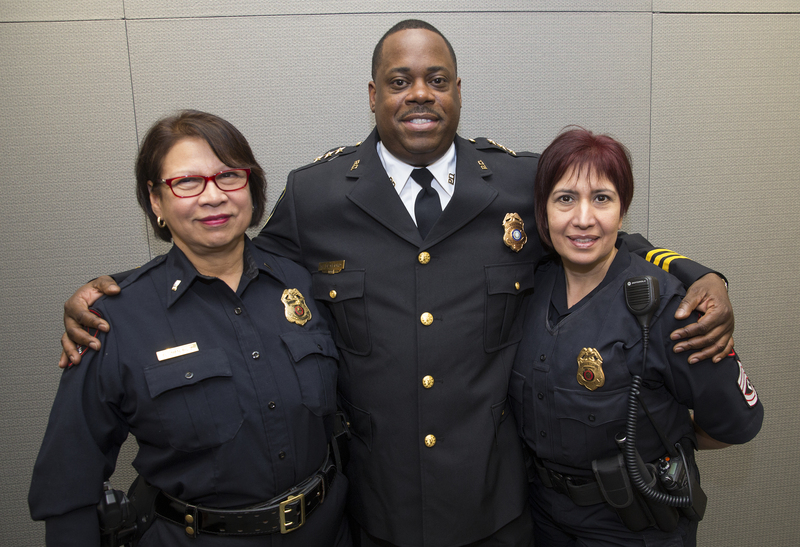 UHDPD Lt. Frederick Varela believes that National Police Week is also a time to honor officers who have lost their lives in the line of duty. "We have taken an honorable oath to protect everyone regardless of who they are, what they've done, or what they believe, up to sacrificing our own lives so that others may live," Varela said. "When I think about the profession I have chosen, I always come back to the Bible verse John 15:13, 'Greater love has no one than this, that he lay down his life for another man.' This pretty much sums it up for me. It speaks volumes about police work."